Researchers are particularly concerned about huge concentrations of microplastic fragments in sea ice. They say they've found plastic litter almost everywhere in the Arctic they have looked. Norwegian fishermen are worried that their fish stocks may lose their reputation for being untouched by pollution. 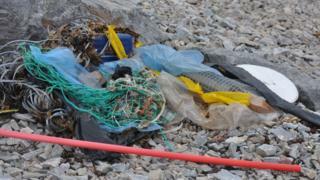 Most of the large plastic waste there comes from discarded fishing gear. And boat owners admit it will take hundreds of years to overcome a few reckless decades of using the sea as a dump. Norway's environment minister says politicians in the past haven't fully registered the extent of the problem. A synthesis report from the Norwegian Polar Institute to the recent Arctic Frontiers conference in Tromsø says there's a great need for more research into the extent of possible harm from plastic. It says effects have been monitored so far on zooplankton, invertebrates, fish, seabirds, and mammals. Research shows that up to 234 particles have been found concentrated into just one litre of melted Arctic sea ice. That's much higher than in the open ocean. Researchers explain that sea ice forms from the top. By unfortunate coincidence, plastic particles also float at the surface, so they get bonded into the ice as it freezes. They are not yet sure how much of a threat this presents. But they are worried about the impact on Arctic wildlife if the particles are released as sea ice continues to shrink. Surveys suggest that fishing crews are increasingly aware of their responsibilities now. Jan Roger Lerbukt, manager of Hermes Fishing in Tromsø told me: "In the past 20 years I've seen a change in awareness in everyone towards protecting the environment. "Fishing has been in our soul for thousands of years. If there's any environmental threat to the fish it's also a threat to our livelihood and that's a big concern. "We have a reputation for a pure product and we don't want that damaged." He agreed that trawler crews used to throw tangled nets overboard, but says they now they return them to harbour. He says they also salvage plastic litter they catch, under a scheme called Fishing for Litter. More and more crews are using paper packaging and moving away from plastic tape, he said. But on a short walk along a plastic-strewn beach in Skulsfjord near Tromsø, I found clear evidence of fishing ropes still being deliberately cut. And in the open water, "ghost nets" are easy to find. Bo Eide, an environment consultant for Tromsø Council, conducts litter-picking on the beaches. "People see the pictures in brochures of the pristine Arctic and they book their holidays to come here," he tells me. "They're sometimes rather shocked to find that the Arctic in close-up is no longer how it looks in the brochures." 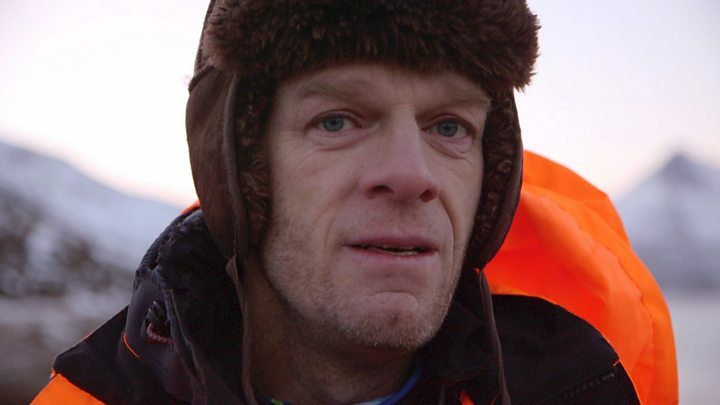 Norway's environment Minister Ola Elvestuen told BBC News: "It's disturbing - there's nowhere on Earth that's so far away that its not affected by plastics. "This should be a call for action. It's been known about for years, but the magnitude of it hasn't been taken in as it should have been. We must stop the plastic pollution." Researchers say there's been no systematic microplastics survey of all parts of the Arctic. They hope to compile an inventory, potentially with the help of "citizen scientists".